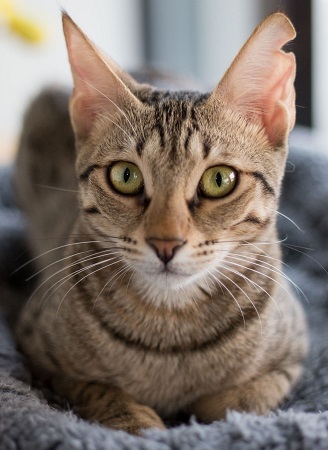 Mai Tai is a 7 month old Arabian Mau mix that flew all the way from Oman! She is wildly inquisitive and energetic. Best in an active home, or a great candidate for anyone looking for a cat they can train! She is vaccinated, chipped and fixed. Her adoption fee is $100. Stop by the Pixie Project to meet her!